Probiotics have exploded in popularity in recent years. In fact, a survey done by the NIH shows that they’re now the 3rd most popular natural supplement taken by people. A 2017 study by the University of Florida showed that participants given a probiotic suffered from fewer allergy-related symptoms during an 8 week experiment. While most studies involve humans, not animals, there is a small but growing amount of research specific to dogs. While the need for more research is certain, the results so far are very promising. Can Prebiotics & Digestive Enzymes Also Help Allergies? Prebiotics are a crucial part of a successful probiotic routine, as this type of fiber is the food that “good bacteria” probiotics feed on. A good canine probiotic formula should also include prebiotics. Digestive enzymes are also an interesting component to healthy immune response. Human studies are starting to reveal that properly and fully digesting food may play an important in allergy response. Some canine probiotics, such as Pronine™ Flora, contain digestive enzymes as well. 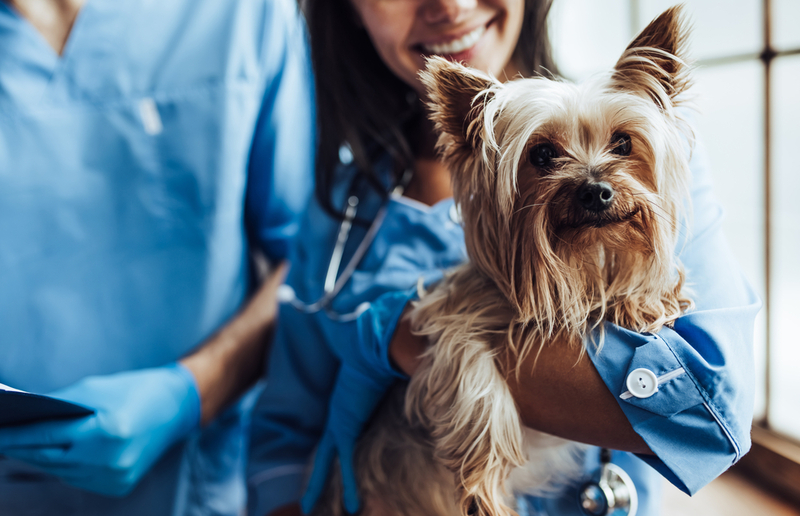 To summarize the studies above, the results for alleviating canine allergic response are promising, but not yet conclusive. Considering the chance of an adverse reaction to giving your dog a probiotic is very low, probiotics are a worthy tool in your arsenal for fighting canine allergies. If you’d like to learn more about the probiotic formula that iHeartDogs recommends, visit here. Marsella R, Santoro D and Ahrens K (2012). Early exposure to probiotics in a canine model of atopic dermatitis has long-term clinical and immunological effects, Journal of Veterinary Immunology and Immunopathology 146(2): 185-189. Kim H, Rther IA, Kim H, et al. (2015) A Double-Blind, Placebo Controlled-Trial of a Probiotic Strain Lactobacillus sakei Probio-65 for the Prevention of Canine Atopic Dermatitis, J Microbiol Biotechnol. 25(11): 1966-69.